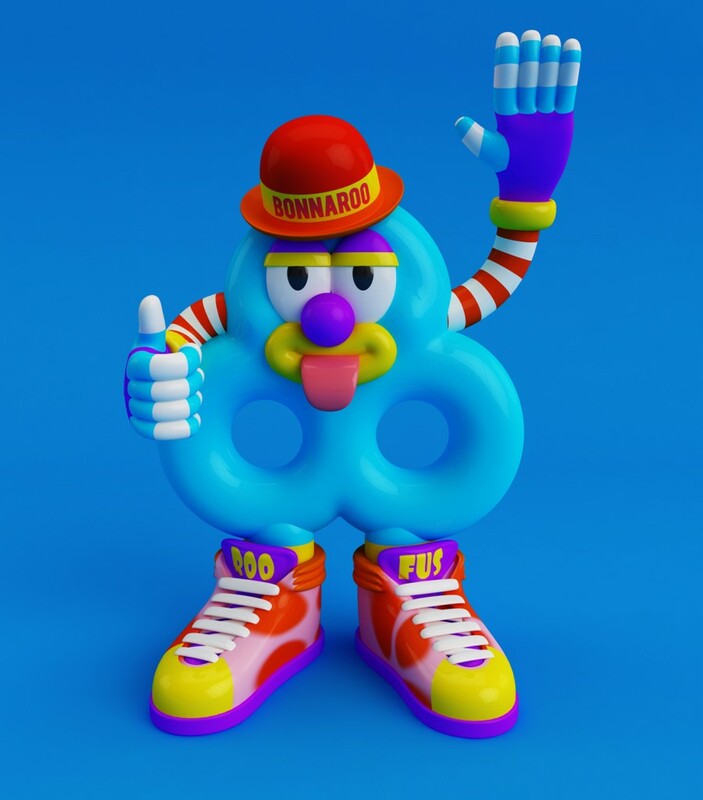 Our friend Steven Wilson needed some assistance creating a character to compliment his most excellent branding for the Bonnaroo festival in Tennessee. The tickets were given out as miniature cereal boxes and they needed us to create a mascot / character to be the face of the fictional cereal brand, ‘Roos’. 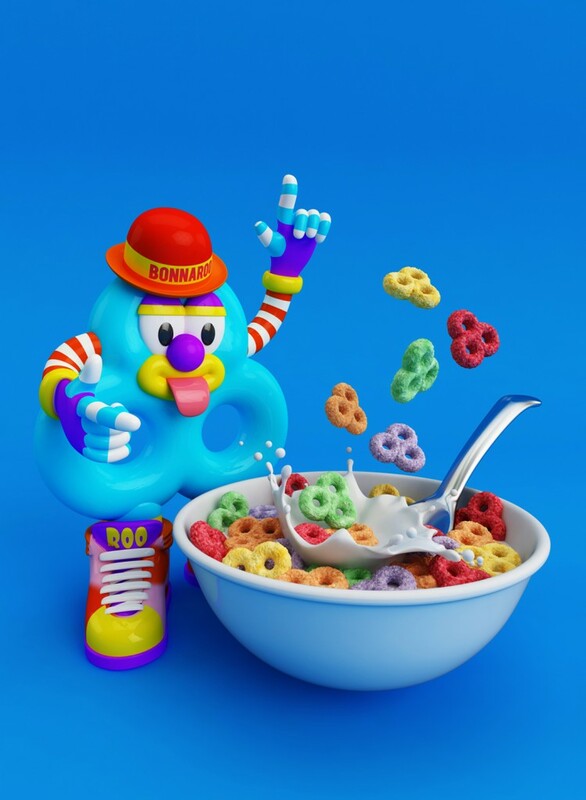 We worked with Steven on a few ideas, and ended up with Roofus here, who was based on the Bonnaroo logo itself and 3D printed to be hidden in each box. We also created a 3D bowl of ‘Roos’ themselves.